Where shall we live in Asia? 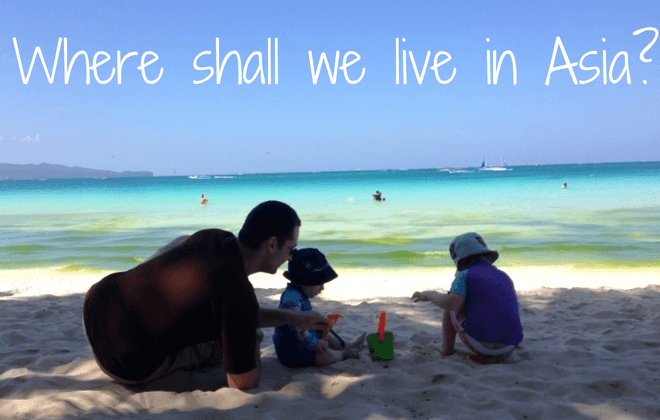 After we made the huge decision to become digital nomads, the next decision was about where we would live. We are still undecided as every option has its pros and cons although we are getting closer to a decision every day. We would love your input! Asia is the natural choice for us as it is relatively close and easy to get to from Australia. It is also cheap to live in Asia and cheap for us to get there. We also considered Latin America or Eastern Europe, but the flight costs would take a huge chunk of our savings. We coincidentally already had flights booked to Kuala Lumpur and Bali for the end of the year, so it will not cost anything for us to get there. We also know that we can have a fabulous life style in Asia. I don’t think there will be any big shocks or surprises, so it is an easy first step to make. We need somewhere where our money will go far. We want to live on AUD$2500 a month comfortably. We want a good lifestyle which for us means good food, good weather, comfortable homes, affordable house cleaners and fun family things to do. It also means we would prefer not to live somewhere where it is difficult to get around. I don’t want every journey to be in grid locked traffic. We need a good preschool for our kids that is going to align with our personal philosophies. We want to avoid one where children are physically punished and where two year olds get homework (seriously, it happens!). They would both be in kindergarten in Melbourne next year, and they both love the interaction of child care currently. A bilingual preschool would be a plus, although they will go to a bilingual primary school, so this is less of a concern for now. We have to pick a country where we will be able to stay without visa issues. J and I are big city people. We don’t necessarily need a big city (although that is preferable), but we are not interested in living in a small village. Preferably easily accessible to other countries in Asia. For us, there are three countries that stand out straight away – Thailand, Malaysia and Indonesia. We thought about some other countries but crossed them off pretty quickly. 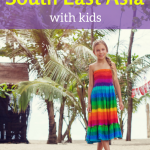 In each of these three countries we know we can have a great lifestyle for cheap and there are a lot of other families doing similar things that have blogged about the experience so it gives us a great starting point to plan all of the logistics. We briefly thought about other countries in Asia, but there was a lack of information, they seemed too expensive, too hard to travel easily to other places or had visa requirements that would make it more difficult. 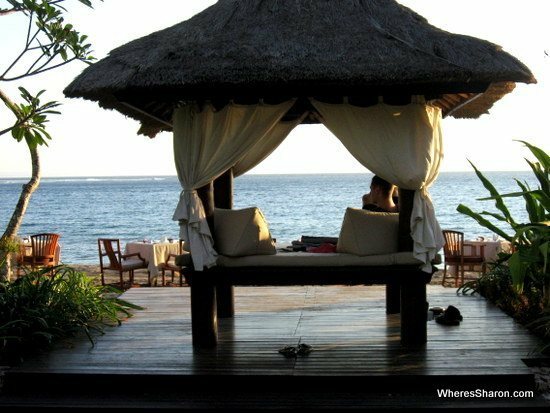 Bali is the first place we thought of when we decided to move to Asia. We love Bali, and I have seen so many photos of the awesome houses many travelling families have lived in around Ubud surrounded by rice paddies. I have especially wanted to move there since I read about the low cost of having a personal chef on Bali. I find it easy to picture an excellent lifestyle there. However, the big problem is the internet speeds. I have read many people complaining about the internet speeds in Bali. The downside of working online is that we can only live somewhere with great internet speeds. I asked some families who live in Bali and with 2mbps speeds, J has ruled out Bali. We love Thailand and we would love to move there. It is cheap, the people are friendly and in many ways we know we would enjoy living here. There are some problems which have caused us to hesitate though. Firstly, I am not sure where we would go. 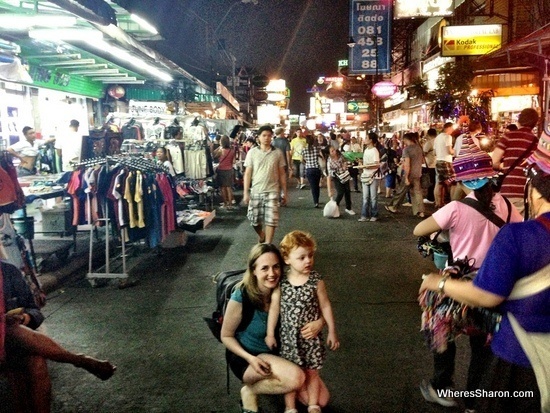 I loooooove Bangkok, but we struggled a bit when we went there last year with kids. The city traffic meant that it took a long time to get anywhere. The Skytrain did not work very well with little kids as there were just so many stairs. I worry that if we moved there, we would be stuck in a small little area. Chiang Mai is a popular choice for expats as it is very affordable. However, I have been there twice and although I stayed in some of the best hostels in Chiang Mai, I didn’t particularly liked it. I was bored. I recently researched it further as an option, but I was disturbed to find that all of the preschools that people were talking about online gave homework from the age of 2! Z is 2 and I really can not imagine what he could possibly do for homework, we don’t need this stress. I also thought about the Southern islands but I am worried about the costs involved in living on these and whether we would get bored. The second problem is visas. We are entitled to 30 days on arrival by air and 15 days arriving by land border. It is also possible to apply for a 60 day visa beforehand. This means that we will have to leave regularly and when we leave, we will need to go by air. If we end up needing to fly somewhere every 30 days this will become very annoying and costly, especially as Chiang Mai would probably be where we would move and it is not that accessible to other places. This requirement also makes me think we would be better off sticking to Bangkok if we choose Thailand since there will be more cheap flight destinations from here. We keep coming back to Malaysia when we try to work out where to move. It is a well developed country with reasonable infrastructure, good hospitals and many people speak English. We can enter the country for 90 days on arrival, so that removes any issues with worrying about visas. There is a lot of information online about moving to Malaysia. It is not as cheap as Bali or Thailand (so we would probably have to cope with less home help), but it is still well within our budget. The other pluses are the languages spoken here. We would love our kids to go to a Chinese bilingual preschool. The range of food is awesome. It is also the hub of Air Asia so it is a very convenient base to explore the rest of Asia or to return home should we need to. The only downside really is that I just don’t like it as much as Thailand or Bali. We are undecided about where we would live if we pick Malaysia. Kuala Lumpur jumps out at us as we love big cities and just think of all the travel opportunities we would have thanks to Air Asia! Of course, that is also a downside. It’s like a drunk moving next to a pub – probably not a good idea if I want to get some work done! What worries me about Kuala Lumpur is that from the information I have been able to find online, we would probably not be able to afford to live centrally. Expat areas also seem to not be central. 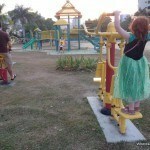 We feel we need to live in an expat area to have access to the quality of preschool that we would want, but if we end up out in the suburbs, will we really enjoy living in Kuala Lumpur? Much like Bangkok, I worry we may end up stuck in a small section of the city. The other option we have been considering strongly is Penang. The family that first introduced me to the idea of being digital nomads at Our Travel Lifestyle created a home base in Penang and it sounded great. There are also many other people who have blogged about finding an apartment, car, preschool etc, and it seems like the easiest option of everywhere for us to settle. However, I have been to Penang twice and I have found it boring. I worry we wouldn’t actually like living there. I had hoped that writing this all down would help give me some clarity, but it actually has me more confused! What do you think? Where should we move? Updated 6/10/2014 – We’ve decided! Check out our new blog post to find out where. You can get a triple entry tourist visa for Thailand if you get it before you arrive in your home country. This will give you 9 months (3×90 days) in total. There are loads of international schools in Bangkok that start from about age 3 with nursery/kindergarten. If you do pick Bangkok then its probably best to find a school first, then look for accommodation nearby as the traffic is bad during peak times. Hi Joe! Thanks for the info. What type of visa is that and is it for Australians? I can’t see a tourist visa on the Thailand embassy website in Australia that is longer than 60 days, only the non-immigrant visa. Its the tourist visa but you can apply for a single, double, or triple entry version. Each one gives you 60 days which can then be extended by 30 days at your local immigration in Thailand for 90 days in total. Then after the 90 days you must leave the country (by land or air) to activate the second tourist visa. Then after those 90 days, leave again to activate the third tourist visa. Its a bit of a hassle but probably the least hassle for the amount of time you can spend. Most consulates do the double entry and some do the triple so you will have to find out which ones offer the triple in Australia. Ooh thanks Joe, I didn’t know you could extend it further once there. Sounds like far less hassle than the alternatives. This is huge, Sharon! Congrats on making the decision. I love Bali and plan to live there someday myself, so I’m biased. 😉 I see you’ve ruled it out, but if you reconsider, a good source of information is livinginindonesiaforum.org. All the best with the moving! Thanks Deia! We are definitely spending at least two weeks in Bali in January since it’s already arranged. It is easy to believe that we may just not be able to leave. Such a lovely place. Hey Sharon, We went through the same EXACT thought process and the same places. We decided to divide up our time. We are currently spending 4 months in Thailand (3 in Chiang Mai). Mid Nov we will then be mobile for 6 weeks -2 months and check out Laos, Vietnam and Cambodia. Then re enter Thailand on our last 2 month visa and cover the south. Then make our way to Penang and stay there 4-5 months. That way we are getting both. That may be a good compromise for you, 6 months in each location. Sounds like a good plan. We have decided to only commit to 90 days in whatever place we pick initially and then look at changing it if it’s not working. We have flights to Sri Lanka actually 3 months in, so may end up doing something similar. Sounds like we have a good chance of meeting up somewhere! I’m curious where you’ll end up! Good luck! Oooh thanks Veronica – I am checking it out now! Sharon, I’m not even going to weigh in. I have a feeling we’d choose a different location from you guys (maybe I could tell you my favourite and you could cross it *off* the list? 🙂 ). Still looking forward to hearing where you end up, of course – all those options are enticing in their own way. Hopefully I change my mind about that as I would say we will end up living in one of them!!! Sounds great!! I wish I could be bothered to cook. I want to move in part to not have to cook! Maybe I would enjoy cooking more if I could whip up yummy Asian dishes though. I would definitely go for Bangkok if it wasn’t for the visa thing. But from the above comments, there do seem to be some workarounds. It’s not on your list, but I’d definitely put Phnom Penh there. A great city with awesome restaurants, cafes, nightlife. It’s easy to get to other parts of Cambodia (and Asia) from there. AND you can pay $5 extra for abusinessvisa on entry and you can renew that INDEFINITELY. I wrote off Cambodia as I didn’t imagine it would be suitable for children. Do you have any idea about this? We need somewhere with cheap, good quality child care and where there is stuff they can do. I did enjoy Phnom Penh when I went there but I paid no attention to things like that. Great article Sharon. Prompts the larger question of what countries have a viable and exciting second city. Seems the world is full of countries with awesome main cities that are getting a bit crowded, with no real second option (England, Australia has two, Thailand etc.). Germany comes to mind as a country with some great options and no one place overcrowded. I personally miss the Melbourne of 2000 – had all the cool parts without the jams and sky scrapers. Would Vientiane be an option by the way!? That is a very good observation and I guess what I have been considering without realising it consciously. We may have to try Germany at some point since the kids will be speaking German after they start primary school. Rule out South Korea. Education is insane and renting is extremely difficult – deposits of thousands and thousands of dollars are required. I lived there for 3.5 years, not somewhere you’d want to be short-term. Now there’s one option I’m surprised you haven’t considered – Taiwan. Taipei is a big city with lots of green spaces, amazing public transportation, very well-connected to the rest of Asia, rent is affordable, the food is delicious, internet is fast and English is spoken. You could easily find an international preschool here, too – and of course, Chinese is the main language. Seriously, give it some thought. Now you mention it, I am surprised too! Maybe I assumed it would be too expensive? I am definitely going to have to go do some research. We spent a week in Taipei last year and it is exactly the type of place we love. It even has the benefit that my Taiwan posts are actually the most popular on this blog! Thanks! 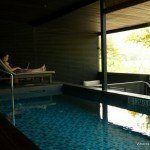 What a great blog, thanks for all the travel tips. We really enjoy living in KL but I understand your hesitation whether KL fits your criteria. Living cost is quite high especially when it comes to rents and schooling. Many preschools DO make toddlers do homework and problematically the way around seems to be to stay in the expat areas – and pay expat rates and be surrounded by mostly expats. I know people who have lived in Penang and loved it. It’s only 4 hours away, after all. Good luck with your tough decision! 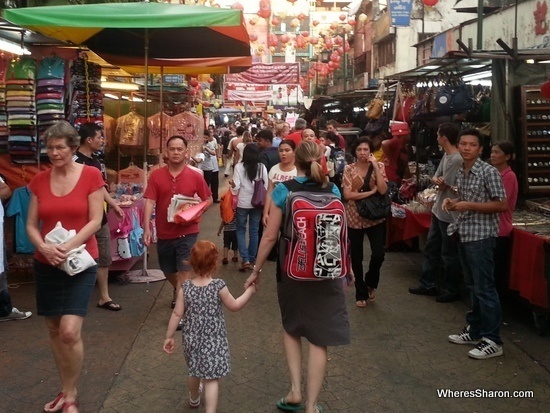 Have a look at our blog, we write about family life in KL and travel in the region. Thanks for commenting! A blog about living in KL is exactly what I have been after, so I am off to check it out now. Unfortunately, you back up what I have already been thinking. I don’t think any of the choices can be bad though. I really enjoyed Ubud and yes the internet connections aren’t great. There is a really nice co-working space called Hubud which has got great facilities. Have you considered Saigon or Hanoi? Big expat communities, very good internet and low cost of living. We (husband and I, it was before kids) did not have a pleasant time in Vietnam at all. The hassle was non stop. People would even come up to our hotel room and hassle us. Prices in restaurants would automatically inflate. I just can not enjoy myself in that type of environment. I really did not like it at all. It is not like I cannot handle hassle either, obviously I have travelled widely. Vietnam and Egypt take it to a whole other level though. I wrote a fair bit about it at the time but unfortunately I am still yet to update those articles and publish them again since moving my blog to a new platform.